Check out the video below. 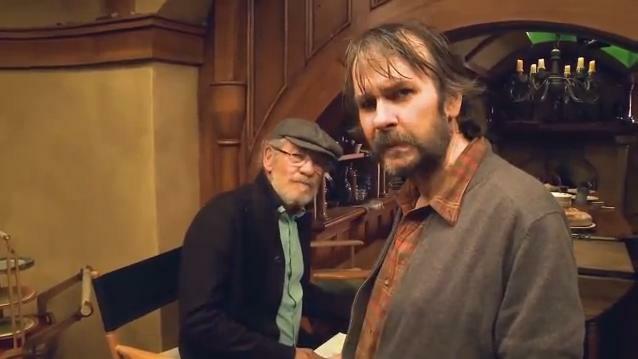 It is apparently the first of many blogs from the set of The Hobbit. The Hobbit, Part 1 releases in 2012. Who’s excited? The 83rd Annual Academy Awards are Sunday. By now every critic and film blogger under the sun has announced their predictions of the night’s winners. Frankly, everyone sounding off on why The Social Network should win but instead The King’s Speech will can get old pretty fast. So I give you Oscar the Grouch’s Oscar predictions. He was disappointed at first that there was an award named after him. But when Oscar realized that the film industry puts out some of the greatest trash he has ever seen, he was fine giving his thoughts on the nominees. Happy Wednesday! To celebrate the week being almost over, here is a glimpse at what is on my mind today: Adele. The British-singer’s second album 21 releases in the U.S. next Tuesday. I cannot be more excited. The first single, “Rolling in the Deep,” has been on heavy rotation on my iPod since I first heard it two months ago. What caught my attention today was Adele performance of “Natural Woman” for VH1’s Unplugged. Prepare to be amazed. Oh I how love her. The girl can sing and she puts so many other pop stars to shame. VH1 Unplugged: Adele premieres online March 3, at 7 p.m. I cannot wait. Are you excited for Adele’s upcoming album, that is if you haven’t already downloaded it? Wednesday’s Modern Family featured a subplot that spoke to my cinephile’s heart. Phil and Claire were concerned that their lack of intellectual curiosity was wearing off on their children. When Alex gets the second highest test score after Sanjay Patel and they then encountered his parents at the movies, they decided to step up their game and see a French movie. Not Croctopus in 3D.